Eco Tiny House - a Romanian business for Romanians? Everyday struggles have a direct effect on the lives of more and more people. Hence the desire of an increasing number of people to live healthy, to return to the simple life of the past. The trend is already widespread in the West, where it has even become a way of life, while in Romania those who have come to share these desires are growing. Obviously, there is a close link between this way of life and the ecological ideology that militates for a closer connection between man and nature, warning that neglecting the environment can bring real discomfort to mankind both in the short and in the long run. These are also the values ​​proposed by Eco Tiny House, a company specializing in eco-friendly housing, which invites owners to rethink the space they live in. Predominantly minimalistic, these houses are not designed to determine owners to give up modern comfort, only to rethink the need for certain things and choose the items that are actually necessary, not desirable. Also, the Eco Tiny House concept refers to maximizing the available space and creating mobility, including here the possibility of gaining full independence in terms of utilities. 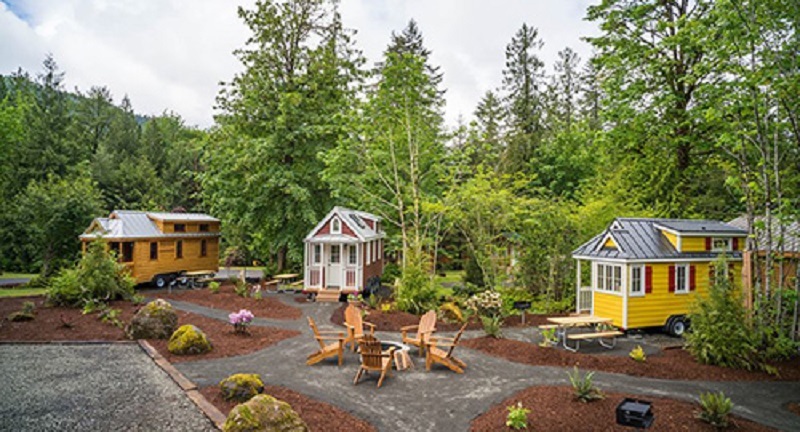 Basically, the great advantage of Eco Tiny House is the possibility of personalizing each house according to the requirements and wishes of the client. However, the appeal to the Romanian public of this type of housing is hard to anticipate because many of those who would like to simplify their life are still connected to the metropolitan tumult. Still, this minimalistic lifestyle is on the rise, and the demand for such a house is not limited to the domestic market, especially since Eco Tiny House also offers houses on wheels, a type of housing highly appreciated in the West, especially Benelux. Moreover, the offer is also not limited to housing facilities as the buildings may be used as stands at festivals for example or as workshops.